Faces Ultime Pro Longwear Lipstick Passion has a matte finish! A vivid color burst that lasts more than 8 hours. Enriched with Vitamin E and anti-aging oxidants. Creamy texture gives smooth, water proof high coverage. It is a swanky shade. The Faces Ultime Pro Long wear matte lipstick in Passion comes in a glossy black cylindrical tube- like case with twist up option to open the lipstick. The case is really cute and easy to carry as it easily carries in a clutch too. The silver color print on the body of the case with the name of the lipstick and the slim packaging help to find out the lipstick easily in stash. Faces claim these lipsticks as “ultimate matte” range which is true by their claimation. The lipstick turns into matte one after few mins of its application. The lipstick being super matte may be drying to lips but during application it glides smoothly on lips without any tugging or pulling of lips. So application of lip balm before applying this lipstick is suggested. Although I skip this lip balm application as I just love matte lipstick. 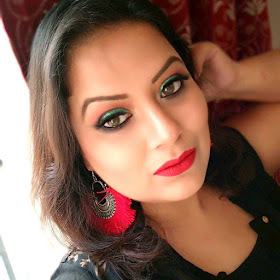 I think these lipsticks are ideal for summers only as during winters it might make your lips look flaky if not proper exfoliated or moisturizes prior to application of lipstick. 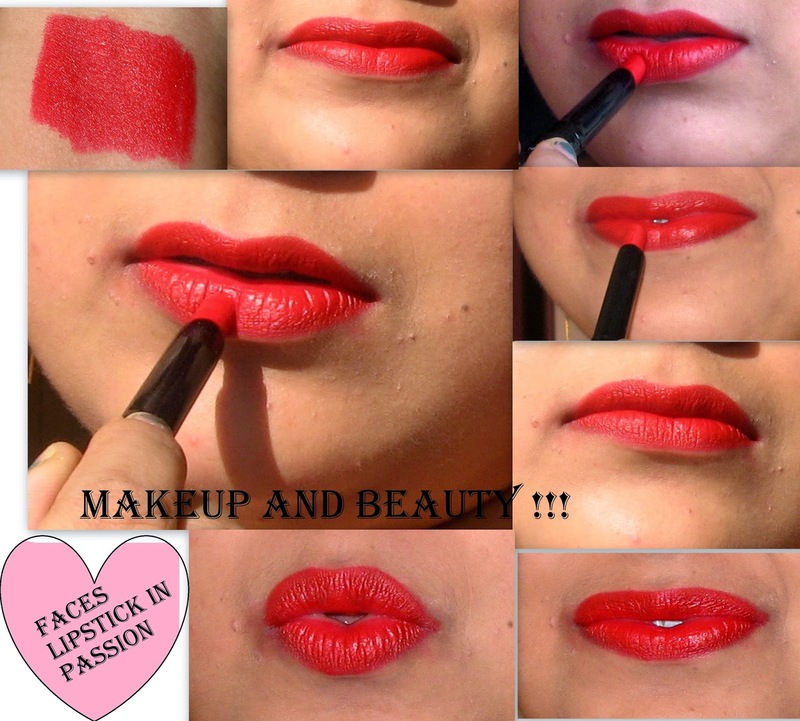 Faces Ultime Pro Longwear Lipstick Passion is a shade of red. The shade is just perfect for party or any night out specially. The shade is quite pigmented as one swipe is enough to give the actual color of the shade. The shade simply brightens up my face and it lasts really 6hours. It can survive heavy meal but fades a bit which can be carrying out for next 1-2 hour. The lipstick transfers a bit at first hours but with the time it settles into the lips giving a matte finish. · Glides smoothly on lips. · Availability, as it is the hottest selling range in faces so I found it always out of stock in my near faces counter. My recommendation: - Definitely I agree that the lipstick is pricey a bit but definitely it worth every penny. So if you are a matte lover then you can grab these lipsticks. They have wide variety of shades so I guess you can grab your choice of shade from this range. It is a nice colour and gives you a nice look! Your lip swatches are absolutely stunning di, loved them, it's a very gorgeous shade. Incredible color! Looks too good on you!!! such a gorgeous shade it is!